The #diogochallenge launch in Athens presented inspiring stories of social innovation in Greece as well as thought-provoking panel discussions on digital inclusion. And it concluded with the official opening of the 2017 European Social Innovation Competition by Rania Antonopoulou, Alternative-Minister of Labour, and Panos Carvounis, European Commission's Head of Representation in Greece! We were thrilled to co-host the event with Impact Hub Athens and to have Vice Mayor of Civil Society and Innovation Amalia Zepou open the day with insights on social developments in the Greek capital. Thank you to everyone who made the day such a success and helped #diogochallenge trend on Twitter in Greece! Sophie Lamprou of Impact Hub Athens, chaired the morning panel, discussing the importance of long-term sustainability and giving real opportunities to people. We heard from Nadir Noori on the dynamics of social innovation in Greece and his experience of being involved in initiatives ranging from migrant integration to access to culture. The afternoon panel shared thoughts on the benefits of technological change, to tie in with this year's competition theme. 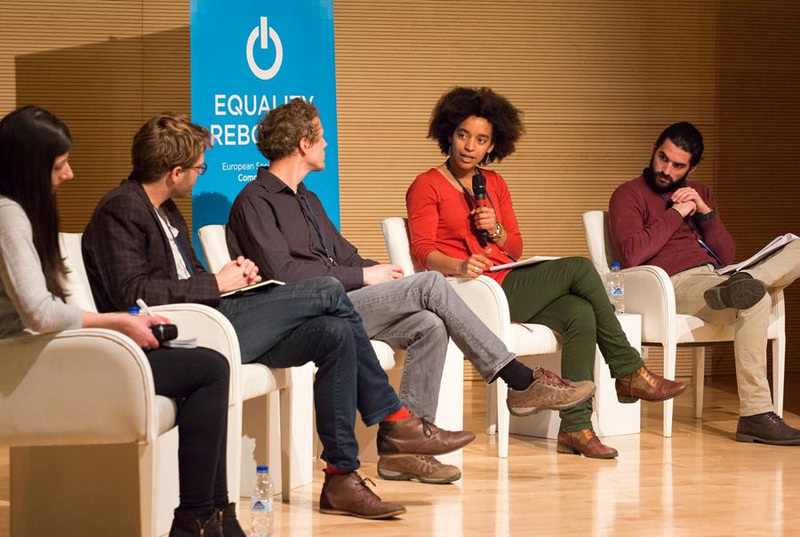 We heard from the likes of Felix Weth from Fairmondo, a platform cooperative that promotes equality and shared ownership through an ethical marketplace, and Antonin Léonard from OuiShare that connects people and accelerates new models for systemic change. The panellists spoke about the importance of collaboration, encouraging innovators to build stronger solutions together and ensuring technology becomes more accessible. To see photos from the event, have a look at our Flickr page!